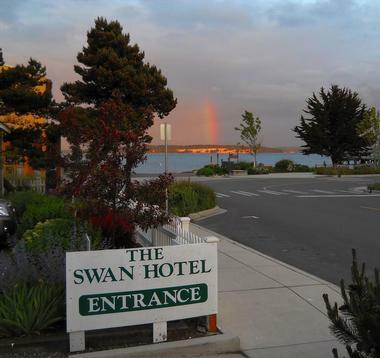 Set in the heart of the historic seaside town of Port Townsend in Washington, the Swan Hotel and Cottages offers a comfortable home-away-from-home retreat just a block from the water’s edge. 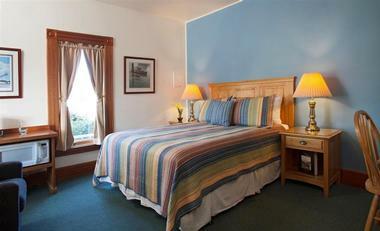 Established in 1992, the charming seaside hotel features ocean-inspired accommodations with private bathrooms and embracing views, upscale amenities such as high-definition televisions, complimentary wireless Internet and access to the local health club, and delicious gourmet breakfasts every morning. The Swan Hotel and Cottages features 13 beautifully appointed guest rooms with seaside-inspired décor and furnishings, private bathrooms with showers and baths, and balconies with beautiful views. Every room features modern amenities such as high-definition televisions with cable channels, DVD players, direct dial telephones with free local calls, and complimentary wireless Internet. The Swan Hotel and Cottages features 13 well-appointed and individually decorated guest rooms in the main house and three private cottages, all of which have been designed with absolute comfort and convenience in mind. Resting on the edge of Point Hudson Marina, the Swan Hotel’s main building features eight studio-style rooms on two floors with a luxury Penthouse Suite on the top floor. Guest rooms are furnished with casual coastal décor and boast beautiful views of the historic Victorian seaport and Salish Sea beyond. Guest rooms in the main house feature king or queen-size beds in in plush linens, and private bathrooms with showers and baths, thick towels and deluxe bath products. Spacious sitting rooms have comfortable seating and modern amenities, including high definition televisions with cable channels and DVD players, microwaves, fridges, hairdryers, irons and ironing boards, and complimentary high-speed wireless Internet. 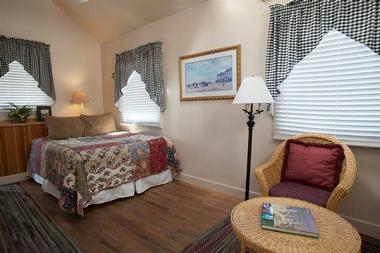 All first floor rooms are dog-friendly and two of the rooms are ramp and wheelchair-accessible. 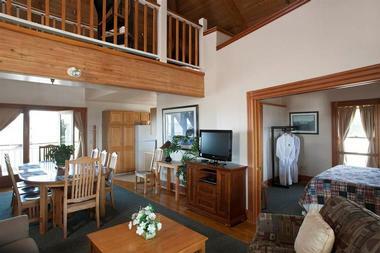 The luxury Penthouse Suite is located on the third floor and can accommodate up to eight guests. The suite features three bedrooms – a master bedroom with king-size bed and en-suite bathroom with double soaking tub, a second queen bedroom with a private bathroom, and a loft with two queen-size beds. The suite also offers a fully equipped kitchen with appliances and utensils for self-catering, a large dining area with table and chairs for eight, two sitting areas with couches and sofas, and modern amenities, including high definition televisions with cable channels and DVD players, and complimentary high-speed wireless Internet. 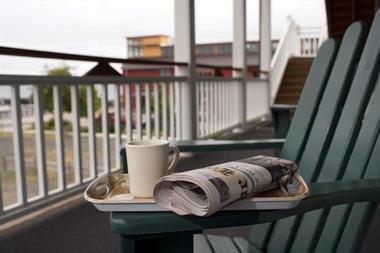 Two private decks embrace dramatic views of Port Townsend Bay, the Strait of Juan de Fuca, and the Olympic Mountains. Four deluxe stand-along cottages are ideal for larger families or couples wanting extra levels of privacy and feature the same amenities as the guest rooms, as well as high ceilings, cozy fireplaces, jetted bathtubs, and spacious patios with Adirondack chairs for relaxing and soaking up the beautiful views. A sumptuous gourmet breakfast is served every morning with continental choices, as well as hot entrées, fresh fruit and juices and coffee and tea. A complimentary coffee and tea service is available all day. The Penthouse Suite has a fully-equipped kitchen with appliances, utensils, and coffee-maker for self-catering purposes, while all other rooms have microwaves and fridges. Guests of The Swan Hotel and Cottages can enjoy a range of amenities, including complimentary high-speed wireless Internet throughout the property, free access to The Port Townsend Athletic Club which is a few blocks away from the hotel and offers state-of-the-art equipment, personal trainers, and exercise classes. There are also Jacuzzis, saunas and tanning beds available. The hotel has an onsite business center with a computer workstation and printer for all business needs, and a complimentary coffee and tea service is available all day. 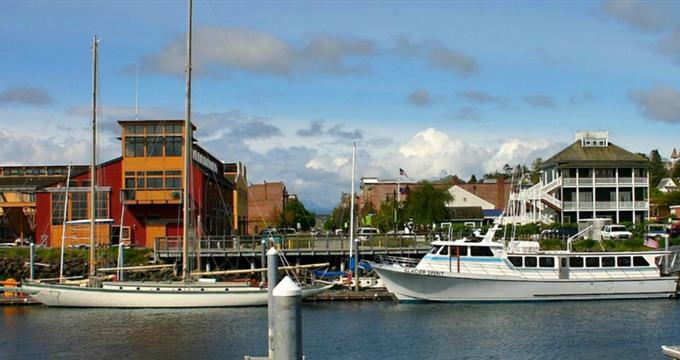 Port Townsend is one of two National Historic Victorian Seaports in the country with many maritime pursuits to explore and enjoy from whale-watching, sailing, deep-sea fishing, kayaking, and cruising. Located right on the doorstep of the Olympic National Park, land-based outdoor activities are almost endless with hiking, mountain biking, wildlife watching and climbing, to name but a few. History buffs, art aficionados, and shopaholics will delight in the array of historical sites and cultural excursions, art galleries, and studios, and boutique stores and shops to explore. The Swan Hotel and Cottages offers special packages for guests, including Dine and Unwind and Soak at the Swan, which includes a two-night stay along with a 50-minute salt water soak for two.